Xanthelasma is the medical term for cholesterol spots – the yellow coloured bumpy and uneven spots that can appear on or around the eyelids. The phrase ‘cholesterol’ may cause some alarm and many patients worry as to whether cholesterol spots are a sign of cholesterol problems. Should I worry about cholesterol? 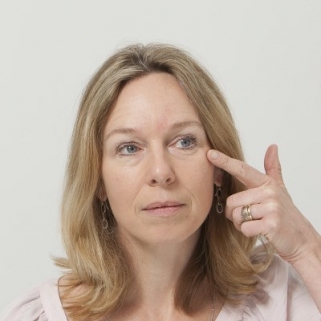 Xanthelasma are NOT necessarily a sign of having cholesterol problems. You can have cholesterol spots WITHOUT having any cause for concern about your cholesterol levels – just as there are some slim people who DO have raised cholesterol. However, we do know that about half of the patients who have Xanthelasma have elevated levels of cholesterol. We also know that cholesterol spots tend to affect those in middle age more, a time when cholesterol becomes more of a concern to a person’s overall health. So if you have xanthelasma, it is sensible to consider whether you might have raised cholesterol, as that is known to increase your risk of associated conditions such as diabetes, high blood pressure, obesity or heart disease. If you have any worries about cholesterol, diet or other associated health risks, then do see a GP to discuss your concerns. A cholesterol test is fairly straightforward and if you do have above normal levels of, then treatment is likely to involve either a healthier diet or medication, or both. Reducing cholesterol will reduce your risk of developing cholesterol deposits around the eyes, but it will not get rid of existing xanthelasma once they have developed. Should I worry about cholesterol spots? The NHS usually consider xanthelasma themselves to be harmless. They are not cancerous or contagious and are highly unlikely to become infected. They are therefore classed as a ‘cosmetic’ problem by the NHS, which means that free treatment is unlikely to be forthcoming. How can I get rid of xanthelasma? Xanthelasma removal is a minor surgery procedure which can be carried out by appropriately qualified surgeons. Don’t be put off by the word ‘surgery’ – it is a simple in-clinic treatment which is carried out under local anaesthetic. Dressings are kept to a minimum and the emphasis is on removing enough tissue to reduce the risk of recurrence while also ensuring minimal scarring. This procedure is offered by Ms Marion Grob at Cosmedics’ London Mole Removal Clinic. Cosmedics’ London Mole Removal Centre offer treatment for a range of skin lesions and blemishes including cysts, skin tags, warts, verruca, lipoma, xanthelasma at its own private clinics. All consultations and treatments are carried out in person by doctors who are specially trained in the latest laser and skin surgery techniques and are highly experienced in the field. For more information or to book a consultation, please complete the form on this web page or call 020 7731 3791.